NEOEDD continues its roundtable discussions for volunteers, boards, and staff members to learn, share, and discuss DEI methods and strategies. The next roundtable will focus on privilege and implicit bias, and take place Wednesday, Nov. 7 from 10 a.m. to 2 p.m. at the NE Oregon Transit Center, 2204 E Penn Ave. in La Grande. The cost to attend is $25 per person and includes lunch; register here. Scholarships are available; please inquire at NEOEDD, 541-426-3598. Registration deadline is Friday, Nov. 2. 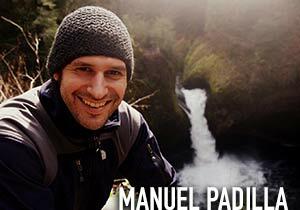 Manuel will also lead programs entitled "The Space Between Us: Immigrants, Refugees, and Oregon," via the Oregon Humanities Conversation Project at 7 p.m. on Nov. 6 at the Josephy Center, 403 Main St. in Joseph, and Nov. 7 at hq, 112 Depot St., in La Grande. Learn more about this conversation topic here. These events are free of charge; no registration required. The public is welcome. Need a workspace? 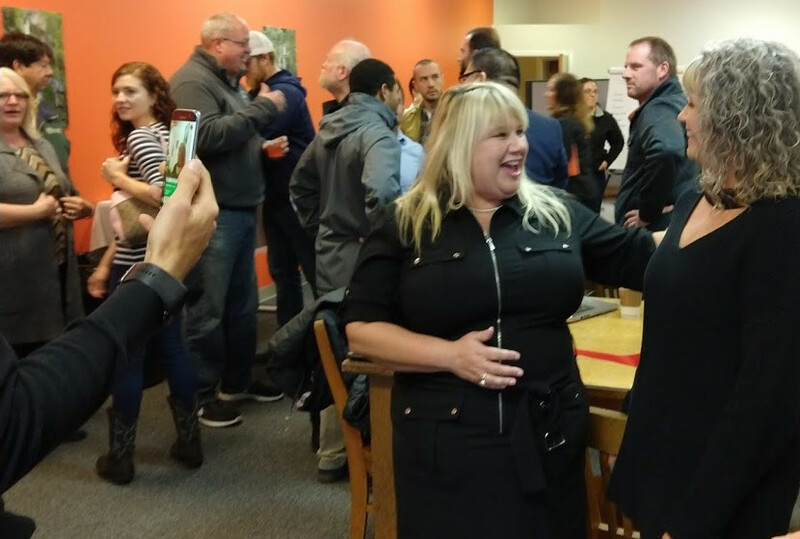 Check out the "IGNITE" E-Center, which provides working space and a resource center for small-business owners and entrepreneurs. 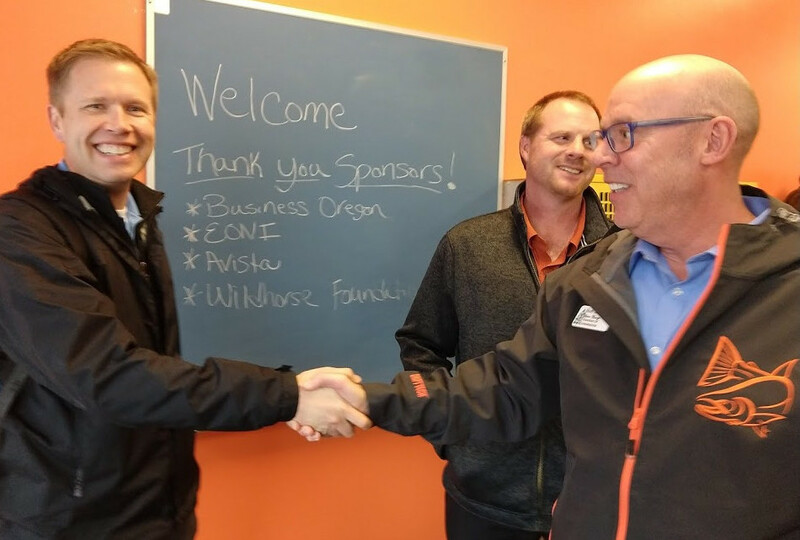 "IGNITE" is possible through grants from Business Oregon and Wildhorse Foundation, donated equipment from Avista, and donated internet service from EONI. For more information about "IGNITE," go to the website. "Learn About Free Google Tools to Get More Customers" on Nov. 5 at 12 noon. Stop by "IGNITE" at 104 Depot St. in La Grande. Thinking of starting or converting to a benefit corporation or B Corp? Check out this new guidebook to do it right. Would you like a 3-to-1 match of savings toward a business, higher education, job training, or vehicle? If you have a low-to-moderate income, consider signing up for an Individual Development Account. 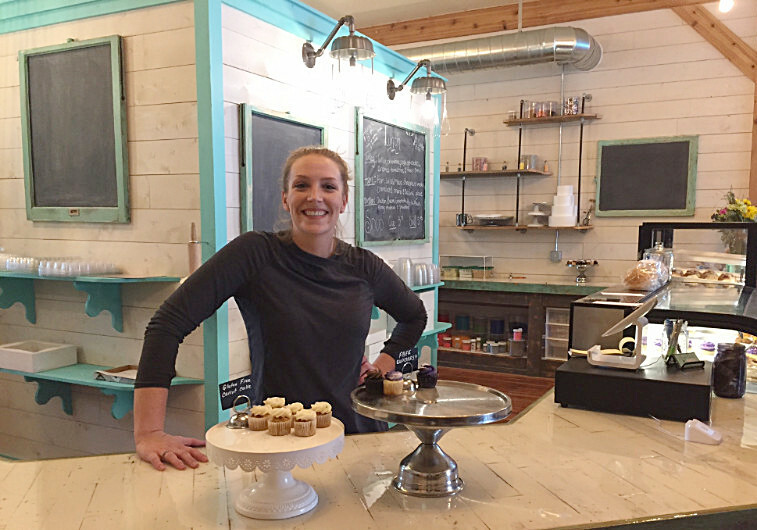 Eva Herold, owner of Sugar Time Bakery, used the IDA program to save for equipment, signage, and supplies for her start-up business. Click here for more information, or contact Lisa, Sara or Kristy at the NEOEDD office—541-426-3598. The Oregon Farmers Markets Association (OFMA) is expanding its board of directors and welcoming new volunteers who are passionate about supporting local agriculture and Oregon's food system. Please contact OFMA with questions here. The OregonMade Foundation is accepting applications for its Oregon's Magical Winter Season grant, a partnership between Oregon Film and Travel Oregon, until Nov. 2. Filmmakers, click here for more information. BMCC SBDC offers the "Branding: Not Just for Cattle" workshop at Wallowa Resources in Enterprise, Nov. 6 at 6 p.m. Cost $59. Click here for more information. Waste-Pro in La Grande is accepting hazardous waste from businesses and farms Nov. 6 and 20, and Dec. 4 and 18. For more information, click here or call 541-963-5459. Travel Oregon will open a Request for Proposal (RFP) to apply for the role of Regional Destination Management Organization (RDMO). The RFP is set to open on Nov. 6. Travel Oregon offers monthly webinars of instruction for their OR Tourism Information System, or OTIS, which is a collaborative platform used for sharing and maintaining Oregon’s tourism assets. Remaining 2018 dates are Nov. 7, and Dec. 5 at 10 a.m. Click here for more information. BMCC SBDC offers the "Accounting Principles" 4-part workshop series at Wallowa Resources in Enterprise, Nov. 7, 14, 28, and Dec. 5 at 6:30 p.m. Cost $79. Click here for more information. Mercy Corps Northwest is hosting a free speed-mentoring event for food and beverage entrepreneurs in Portland on Nov. 8 at 5:30 p.m. Child care provided. Click here to register. BMCC SBDC offers the "Accounting Principles" 4-part workshop series at Blue Mt. Community College in Baker City, Nov. 8, 15, 29, and Dec. 6 at 11 a.m. Cost $79. Click here for more information. Genuine Wallowa County is conducting an interest survey in an e-commerce website for "makers" in Wallowa County. Click here to take the survey. Baker County Business Round Table and Baker County Employer Council meet the second Tuesday of the month (Nov. 13) at 8 a.m. at The Little Bagel Shop. Call the Chamber of Commerce office at 541-523-5855 for more information. BMCC SBDC offers the "Get the Word Out" marketing workshop at Wallowa Resources in Enterprise, Nov. 13 at 6 p.m. Cost $59. Click here for more information. The Dept. of Consumer & Business Services offers "Six Signs It's a Scam--Identity Theft Protection" Nov. 15 at 10 a.m. at the Wallowa County Chamber of Commerce in Enterprise. Register 541-426-4622. 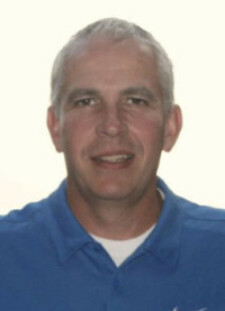 BMCC SBDC offers the "Facebook for Business" workshop at Wallowa Resources in Enterprise, Nov. 27 at 6 p.m. Cost $59. Click here for more information. NEOEDD's board meetings are open to the public. Next meeting: Dec. 6 (La Grande). Contact the NEOEDD office at 541-426-3598 for more information. U.S. Small Business Administration offers low-interest disaster loans (up to $2M), to offset lost revenues due to drought, to small non-farm businesses and nonprofits. Click here for more information, or contact the SBA via email or 800-659-2955. Deadline is Apr. 1, 2019. Applications for the Oregon Century Farm & Century Ranch Program are due May 1, 2019. For more information, contact program coordinator Andréa via email or 503-400-7884. Oregon businesses that are owned by a woman, or man who is a member of a racial minority may qualify for government or business contracts as a Minority or Woman Business Enterprise. Click here for more information. DonorSearch is constantly offering webinars and "flash classes" for the development staff of nonprofits. Click here for their calendar of upcoming classes. They also offer a number of white papers about nonprofit development. Click here to view their catalogue. Grants for Small Museums offers grants for projects that address these priorities: Lifelong Learning, Community Anchors and Catalysts, and Collections Stewardship and Public Access. Deadline: Nov. 1. Click here for more information. IMLS Museum Grants for African American History and Culture build the capacity of African American museums and support the growth and development of museum professionals. Deadline: Nov. 1. Click here for more information. Pacific Power offers Electric Vehicle Charging Station grants; deadline Nov. 15. Click here for more information. The Oregon Cultural Trust has coalitions in all Oregon counties and Tribes that distribute arts and humanities grants within the community. In Union County, the deadline is Nov. 1; click here for more information. In Baker County, the deadlines are Dec. 15 and May 15; click here for more information. In Wallowa County, the deadline is Oct. 31; click here for more information. IMLS Museums Empowered: Professional Development Opportunities for Museum Staff support staff capacity-building projects that use professional development to generate systemic change within a museum. Deadline: Dec. 14. Click here for more information. IMLS National Leadership Grants for Museums support projects that address critical needs of the museum field and that have the potential to advance practice in the profession so that museums can improve service to the public. Deadline: Dec. 14. Click here for more information. IMLS Museums for America support projects that strengthen the ability of an individual museum to serve its public. Deadline: Dec. 14. Click here for more information. Wildhorse Foundation grant deadlines are Jan. 1, Apr. 1, Jul. 1, Oct. 1. They fund projects in a variety of areas in Union and Wallowa counties, and with Tribal entities. Click here for more information. The USDA Market Facilitation Program posted new guidelines in August. The deadline is Jan. 15. Click here for more information. Northwest Farm Credit Services' Rural Community Grant Program funds projects such as building or improving facilities; purchasing equipment to facilitate a program; and funding capital improvements. Rolling deadlines are Feb. 1, Jun. 1, Oct. 1. Click here for more information. U.S. Bank grants are available to support three focus areas: Play (open Feb. 1 to Mar. 31; click here); Work (open Apr. 1 to May 31; click here); Home (open Jul. 1 to Aug. 31; click here);. USDA microloans help beginning or underserved farmers with operating costs. Click here for more information. Job Corps is a free, residential job training program based in Nampa, Idaho. There is an orientation session the first and third Tuesday of every month (Nov. 6 and 20) at 11 a.m. at WorkSource Oregon in La Grande, 541-963-7111. U.S. Representative Walden nominates students to "service academies" (college education with five-year contact with military required post-graduation). Deadline for consideration: Oct. 31, 2019. Click here for more information. Kaylee Richards is youth career specialist at WorkSource Oregon in La Grande. Contact her via email or 541-963-7111 x235. OSU Austin Family Business program has compiled a list of attorneys and other advisors who can help with questions pertaining to succession-planning in agricultural and forestry families. Click here for more information.